Ashley Fox is a results-driven Channel Sales Director with extensive leadership and account management experience within the tech industry. She is a top performer with solid business expertise and a track record of success. A natural leader, she has successfully built Raritan's channel programs and teams, and the company's brand. She is a champion of partners and strives to evolve and grow the channel by introducing new programs and initiatives. For more than 12 years, Ashley has worked with the largest Distributors of IT products -- Ingram Micro, Synnex, and Tech Data. Her emphasis on retaining and growing the business is through positive relationships, effective communication, and partnership. Ashley possesses an ardent sense of customer value and the ability to close deals through a mutually beneficial win-win approach. She is self-motivated and determined, both personally and professionally, to surpass expectations and competition. Prior to joining Raritan, she worked at Eaton overseeing its channel business. On a personal note, Ashley is a working mother of four, and most passionate about her family. • Grew Raritan's channel revenue by greater than 25% by expanding the channel's ecosystem, and focusing on partner growth and partner retention. Upon growing the channel, the percentage of Power and Data Center Sales through Channel grew by greater than 30% YOY. • Under Ashley's direction, the overall number of Raritan Channel partners grew 10 percent YOY and the program added 60 new VARs in 2017 specializing in advanced technology sales and solutions. • One of the key focuses has been to help partners capitalize on new opportunities in emerging IT infrastructure areas, such as in Edge and Cloud Computing. Ashley and her team act as trusted advisors for the largest IT Distributors -- Ingram Micro, Synnex and Tech Data -- to help our mutual partners sell a full-suite solution. Now that the Legrand Data Center Power & Control Division includes both Raritan and Server Technology (as of Nov. 2017), we are in the enviable position of having the largest market share in the intelligent rack PDU space - as well as being one of largest global providers of all types of rack PDUs. Our focus in 2018 will be to continue to deliver to the channel the most advanced data center infrastructure offerings and to educate, enable, and support resellers to be effective at solution selling. We are focused at becoming the most knowledgeable in solving customer needs. One of my dearest friends and fellow WOTC, Calista Roussos of Microsoft, is one woman I admire immensely. 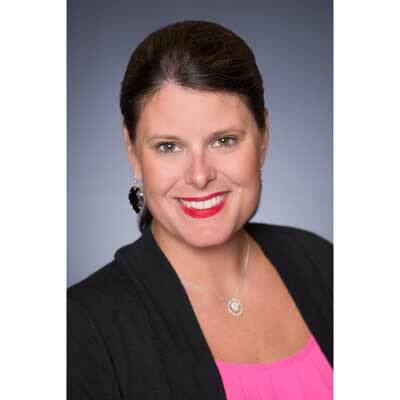 Calista has proven herself in this industry as a leader at Tech Data, Vology, and, now, Microsoft -- with her drive, dedication, and knowledge to lead channel via partnership. I would be remiss not to mention my admiration of her incredible parenting ability with her two small children, balancing her family-work life, and her integrity. I am amazed at her ability to proficiently respond to all kinds of demands with grace. If I could sit down with my 16-year-old self and provide guidance to her, it would be simple: trust yourself. The last 10 years of my career have been built on my intuition and judgment, and those have correlated with my success. I do not negate hard work, luck, or opportunities -- but, I believe my success comes from believing in my ideas and judgment and having the self-confidence to translate them into results. The one job-related skill I wish I could master is delegation -- both personally and professionally. I manage people at home and at work -- and though I work to delegate, I find it easier to handle the workload myself as opposed to driving responsibilities to others. I am striving to improve and manage my workload by better utilizing support from my teams. I read Carla Harris', "Expect to Win" three times. The book is inspiring. It resonates with me -- and there are times when I need to reflect on her words of wisdom. Carla's Pearls help me step up when I need to in business and create the perception of who I am rather than having someone else create it for me.